Hi everyone well Christmas is coming fast with our new Matt Black 5x wall-mount magnifying mirror arriving in a nick of time. This is a really nice model and will look wonderful in your trendy new bathroom as Black is the finish these days. With the addition of a black finish, it now means here at My Health and Beauty we can offer this 5x wall mount mirror in 4 different finishes Chrome, Gold, Satin Nickel and Matt Black. Just a side note here believe it or not we have had interior designers ask if we could get mirrors done with a RED finish that's just going a little too far. It is fairly standard in all the dimensions that are 20cm in diameter, however, the extension is now set at 30cm still more than ample. The round base that mounts to the wall gives it a solid base and durability in its pivot actions. This mirror itself can be positioned from side to side 180 degrees, is double sided and by turning the mirror you can have either 5x magnification for close up attention or 1x to see that all is in order before you walk out the door. As always I like to give you the space requirement for the magnifying mirror so you can plan the best place to put it. These dimensions can be used should you wish to place the mirror inside a cabinet which has become more popular these days. This mirror will fold back flat against the wall so it's neat and tidy the dimensions are as follows with the unit folded back into the smallest possible configuration 32cm high x 30cm wide and 4cm deep. This is the most expensive mirror to have made and with the new packaging inside a foam box with an outer cardboard cover this mirror needs to be sent out in a 5KG express bag because of the external box dimensions. It's a little more expensive for that reason however we want you to receive your mirror in good order. The thinner boxes with an inner cardboard packaging do not travel well in the mail. A normal mounting in a bathroom will see your mirror last for a long time with the only action you need to do is keep your mirror nice and clean which can be done with a soft rag. Just a quick mention before I go. We often get asked what magnification do you suggest? This is a tough one not knowing each person's circumstance. As a general rule if you wear glasses then you will need the higher magnifications from 7x upwards. The middle of the road magnification most common is the 5x so if you are not sure we would start here. Keep in mind a magnification mirror is like a new pair of glasses it will take a couple of use for your eyes to adjust. Please understand with Christmas coming fast delivery of your mirror will sometimes be slower than you expect. We do pack and send same day as purchase however if Australia Post is backlogged or our road freight service is flat out it will simply take a little longer. By all means, if you have concerns feel free to call or email. Just one more thing to mention and that is, do not judge the colour of any finish of the mirrors in the images. Gold is really Gold Colour and Matt Black is really Matt black despite what you see in the images. Photographing mirrors is very hard because all surfaces pick up the different light reflections in the room. We are waiting patiently for our container to land with new stock lines, I will inform you about them as soon as I can get my hands on them. Have fun shopping for Christmas - keep that smile going and I; ll be in touch soon. 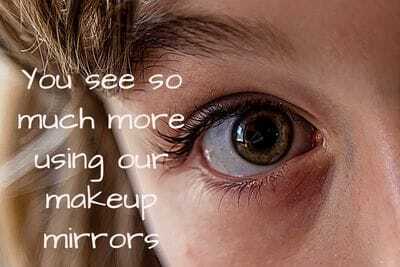 Do you have Gold magnifying mirrors is a question we get asked a little more often these days. It is hard to please everyone as the conversation invariable swings round to find out if different color golds are available with the Rose Gold the most asked for. We guess people are adding a little bling to their bathroom these days and are not so focused the bathroom being all Chrome or all satin nickel or even black that has become trendy these days. Manufactures don't build many gold mirrors as they are simply not in demand. We have waited up to 12 months at times to get any gold models. Currently, we are carrying 3 different models. Wall mounted Halo Lighted mirror, one non-lighted wall mount mirror, and one vanity model. 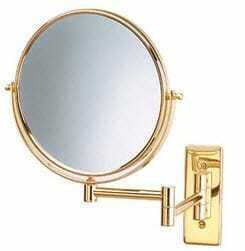 Our MC229 7 times magnification travel mirror has some gold trim on the stand that supports it. I have listed the models here with a link to the page if you would like to look further 7506G is our double sided 5 times magnification wall mount model. 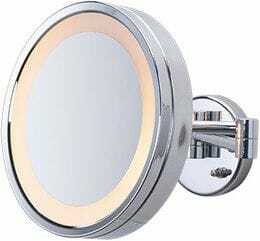 Our HL75G is the wall mounted magnifying mirror with halo lighting and 5 x magnification. And the vanity model the 7505g magnifying mirror is an adjustable height 5x magnification model. I also add the MC229 which has a nice gold part of the stand it sits on here as well. These gold magnifying mirrors are all from the high-quality Jerdon family they don't tarnish easily and hold their polished finish very well. I must say it is very difficult to represent the color of the gold through the images on the site which is why you see the different shades. I would suggest you be quick as it could be some time before we get or even stock them again. Well, it is only a short post this time I hope to bring you some exciting news about some Black model mirrors shortly. It's been tough to get quality, hence the delayed introduction. Really hoping they get here before Christmas. 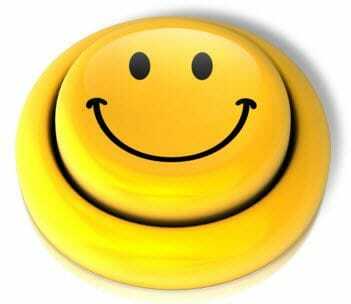 Remember to keep smiling and make the world a better place. Hi, it's Deb again with some information on our direct wired wall mount magnifying mirrors. Before I go any further some people maybe more familiar with the term "Hard Wired" rather than Direct Wired. It is exactly the same thing. The easiest way to understand what either term means, is simply the mirror needs to be wired into the household wiring system by an Electrician. You can't plug this model into a power point because it does not come with a cable and plug. Hotels use this method as it's nice and tidy with no cables and power points to deal with. Plus it's a little harder for guests to "borrow" for their own use when they leave. We have two models available that have been manufactured as direct wire versions that being the HL8 and the HL85 one being a 3x magnification and the other a 5x magnification. These Halo lighted magnifying mirrors are manufactured so that the wiring that powers the light in the mirror, pokes through the back of the mounting plate then goes on the inside of the wall with the wiring then connected to the house inside the wall by an electrician. We should also explain that some of our other lighted wall mounted magnifying mirrors that have a plug and cable can have the cable removed and be directly wired with the only issue being there will be a small hole in the bottom of the mounting plate where the cable was. Because it's on the bottom of the plate you can't normally see it and if you have a good electrician they will use a little plastic plug to cover the hole up. A direct wire mounting makes it a more stylish and clean looking arrangement with no plug in point and an unsightly cable hanging down to worry about. The one main question we get is how do you turn the light on and off? That's easy the on off switch is mounted on the wall plate where the mirror is screwed to the wall and it's a push button type for ease of use and easier to see. To explain further when we say halo light it simply means the outer edge of the mirror is treated so it lets the light through in a gentle diffused manner. 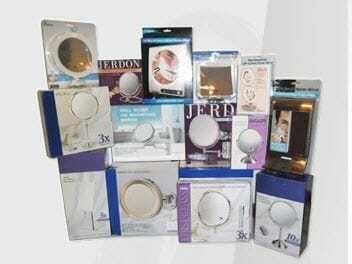 It uses a 15 watt incandescent warm white globe which has shown to give the best light on your face when using the mirror. We might add it is by far the most reliable lighting system for a magnifying mirror as LED have an electronic issue and don't have anywhere near the life of the Jerdon Halo mirrors. Because they are so reliable it's the reason why hotels across the country use these models. You have heard me say this before if you chose to buy a mirror from someone else then always remember to find out if the mirror has 240-volt wiring and it' s made for Australia. The online world is awash with 110 volts Chinese made for America mirrors. It's very very easy to get a shock cause a fire or just burnt out your new mirror. All our magnifying mirrors are made for us to work on 240volt power in complete safety. Lighting in most bathrooms is an issue as the position of the overhead light fittings either throws a shadow over your face or the light bounces of the standard wall mirror found in most bathrooms. Either way, it makes it very difficult to do such things as put makeup on, pop your contact lenses in or attend to any eyelash issues. With the halo mirror, its light reaches every part of your face including under your eyebrows through light coming on the face from every possible angle. 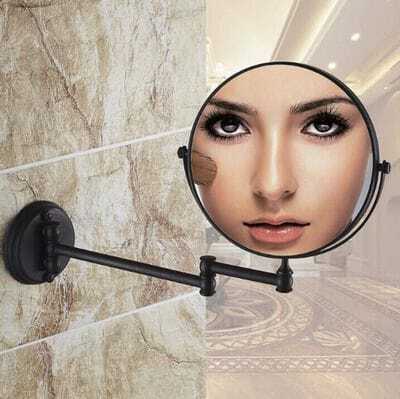 If you have a dark bathroom then application of makeup can be difficult, this mirror will solve that issue forever. There have been some questions about being able to replace the globe. The direct wired models all come with a spare globe in the packaging and is still readily available in the lighting stores however we carry spares at all times and because we have the mirror manufactured we can get all the globes we require. Under normal usage in your home, we expect that the globes will last up to 3 years. Speaking of spare parts we also carry the spare glass mirrors to refit back into the housing should one get accidentally broken. The direct wired wall mount magnifying mirror comes in 3x and 5x magnification in Chrome finish configuration only. For those who want to place the mirror inside a cupboard then the following dimensions maybe of use. The widest point when the mirror is folded back against the wall is 26cm in Width and 25cm High and the depth when folded back as far as it will go is 12cm. The round backing plate is 12cm in Diameter and comes complete with mounting screws and directions. I hope this is of some use to you we currently have new shipments on the way bringing back into stock some of those we have taken off the site. LED88C being one of those. Hope you all have a great week and remember keep smiling and add some magic to your world.